Innovative ascender handle with integrated pulley to be used together with auto-blocking descender (e.g. SPARROW). 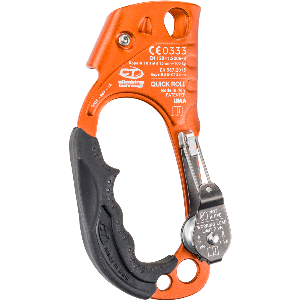 Much more effective and less clumsy than the traditional ascending handles with their additional connector: the working rope runs from the descender over the integrated pulley , thus reducing friction and facilitating the ascent.